Study abroad is an exciting, enthralling and EXHAUSTING experience. The adrenaline from the first few weeks will leave you ready for anything – catching a flight at 3am and then a full day of sight seeing and then plans to mingle with local nightlife. Pushing your self physically, mentally and emotionally are common during travel. You’ll surprise yourself every time you manage to pull off a seemingly impossible task of making a train or finding your hostel at 1am and not knowing the language. To be able to do all things – you have to RECHARGE. 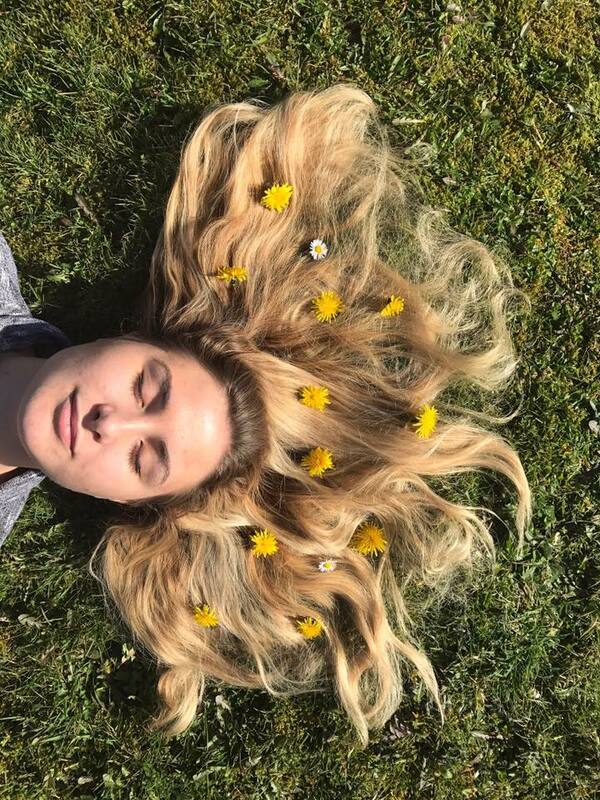 Take time to rest and relax. Although, I might think I’m a world traveler – ready for anything – I still appreciate a lazy day of lounging and watching Netflix. Let your mind and body rest by reserving weekends or days specifically for recharging. You might feel like you’re losing precious time lounging in a foreign country but maintaining your health will only increase your experience! 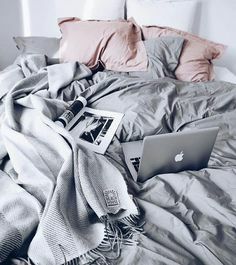 If Netflix and Napping isn’t your idea of relaxing. 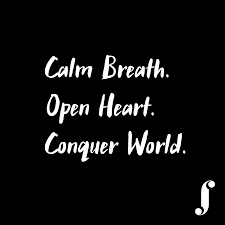 Get outside and enjoy some beautiful weather! 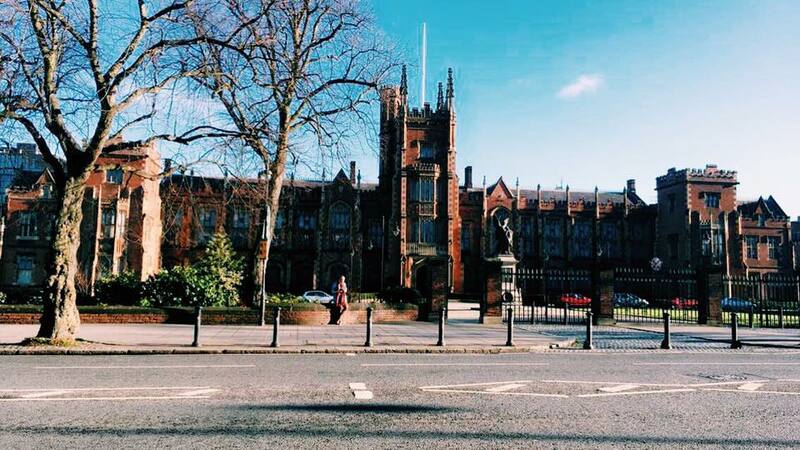 I took advantage of a rare sunny day in Belfast. Taking the time to enjoy where you are rather than rushing away every weekend. Traveling long distances on cramped buses, planes and trains with a 60L backpack on only a couple hours is back breaking work. During your recharge period find a local yoga studio. Remember! Ask for a student discount especially if you’re in a college area! 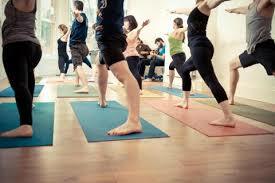 Yoga practices translate over to dealing with stressful travel situations. Always calmly asses your situation. 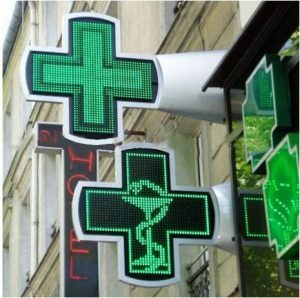 There is no problem that doesn’t have a solution. 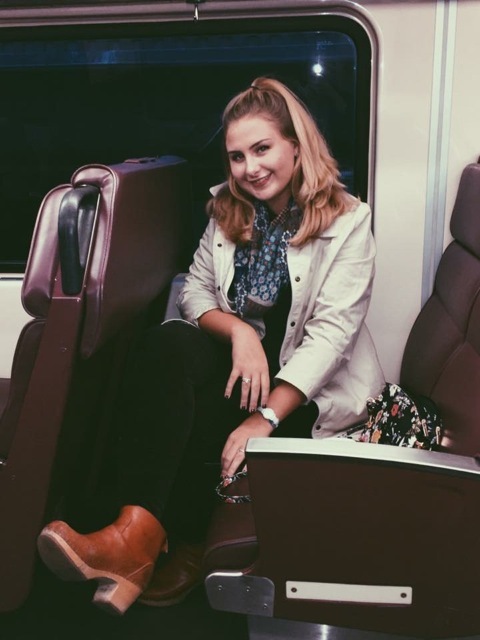 Missed your train? No problem, you’ll catch the next one. Feeling disconnected from your experience? Take a minute to ground yourself and look at your surroundings with new eyes. Experience your travels as an adventure not a checklist. To remind myself of these ideas, I checked out ‘Flow Studio Belfast’ to loosen up tight muscles and relax my mind after a couple weekends of travel. I had a great session and recommend doing yoga two days before a long journey and two days after you get back! You’ll be flexible for the crammed buses and be able to loosen up once you get back after a good night’s sleep! During your time studying abroad, it’s important to take full advantage of your proximity to all that Europe has to offer. 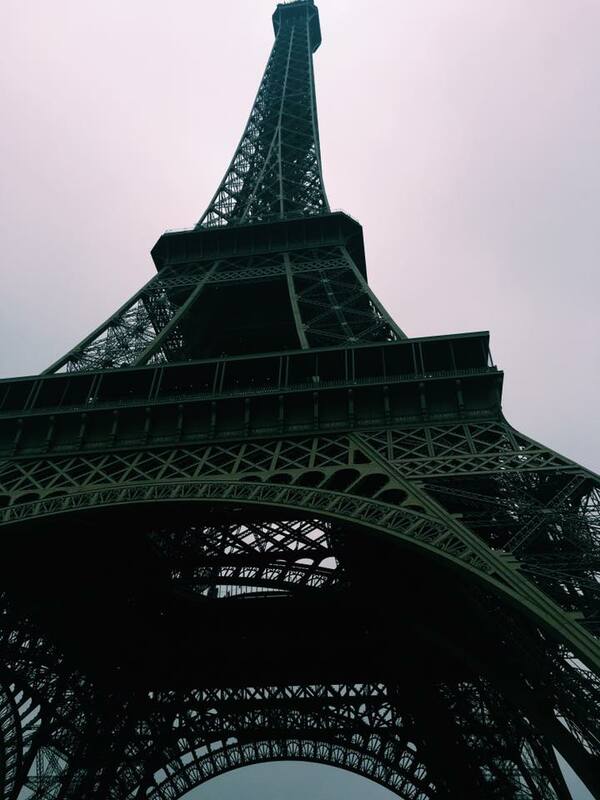 My first weekend trip was to Paris, France. My boyfriend and I are both studying in different parts of Europe. Myself in Belfast and Zach in Turin, Italy. We decided it would be lovely to meet up in Paris “The City of Love” for Valentine’s Day weekend. We got to Paris late Friday night to O’Rly Airport just outside of Paris at midnight. It was intimidating getting to a new city so late at night with no idea how to get to our hostel. We decided better safe than sorry and hopped in a taxi. 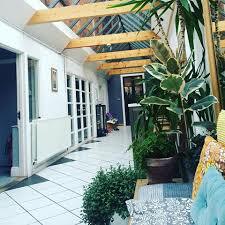 We stayed in the 18th Arrisodnment in ‘Le Montclair Hostel’ it was quaint and cozy with helpful staff and a great breakfast. Taking advantage of just one full day of sight seeing we got up at 7:00am for the complimentary breakfast provided by ‘Le Montclair’. 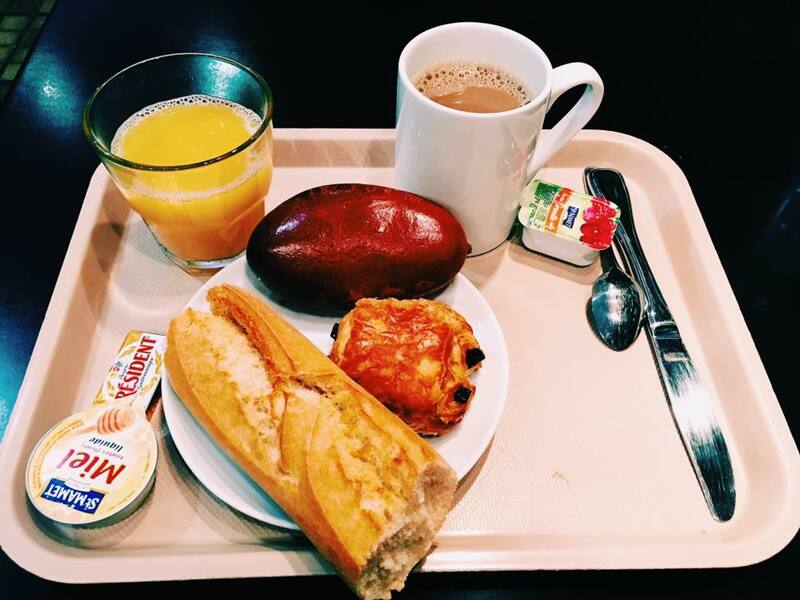 Classic Parisian style breakfast consisting of amazing baguettes, honey, butter, coffee, and OJ. BlondeBrokeBackpacker tip: Bring zip lock bags with you to wrap up food with you for a quick snack while you’re out and about! You’ll feel extra Parisian eating a baguette while taking in the sights. 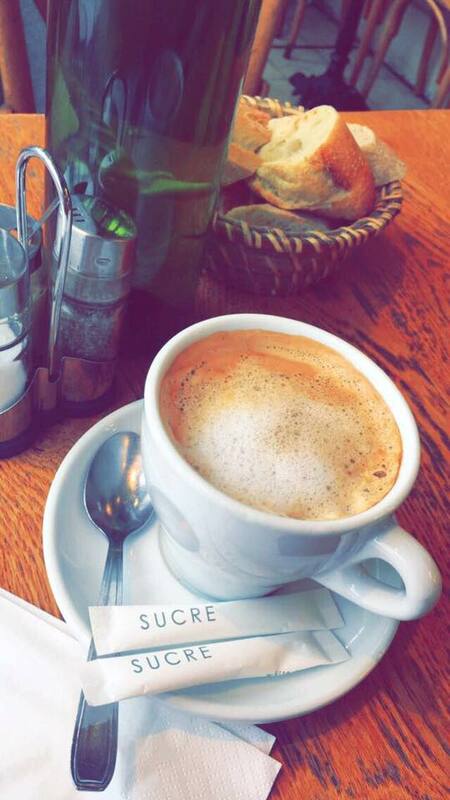 Getting up early and beating the crowds is key while in Paris with only one day for everything! Paris is the most visited city in the world so every day of the week millions of people are oohing and awwing at the Eiffel Tower. We arrived by 8 am to minimal crowds and an opportunity to take in the spectacular structure. 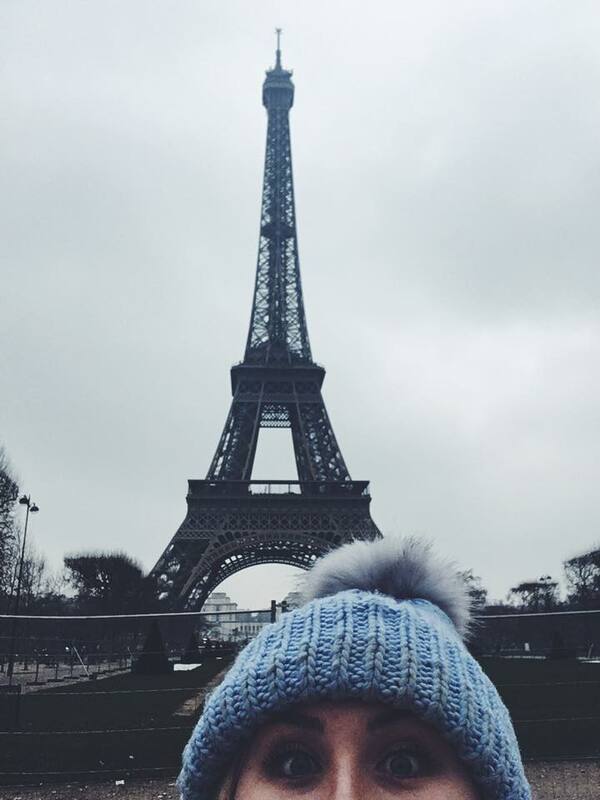 BlondeBrokeBackpacker Tip: Most attractions in Paris are FREE or DISCOUNTED with a student ID. Make sure to have an ISIC (international student ID card) or your European university-issued ID. Which makes seeing museums, monuments and attractions so much sweeter. Paris is an extremely navigatable city. Plug your destination into Google Maps and you can be there in under 15 minutes. 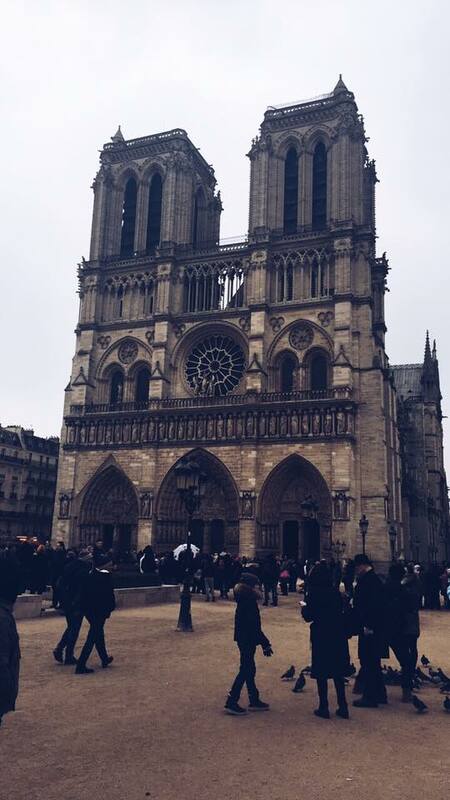 Notre Dame was amazing! 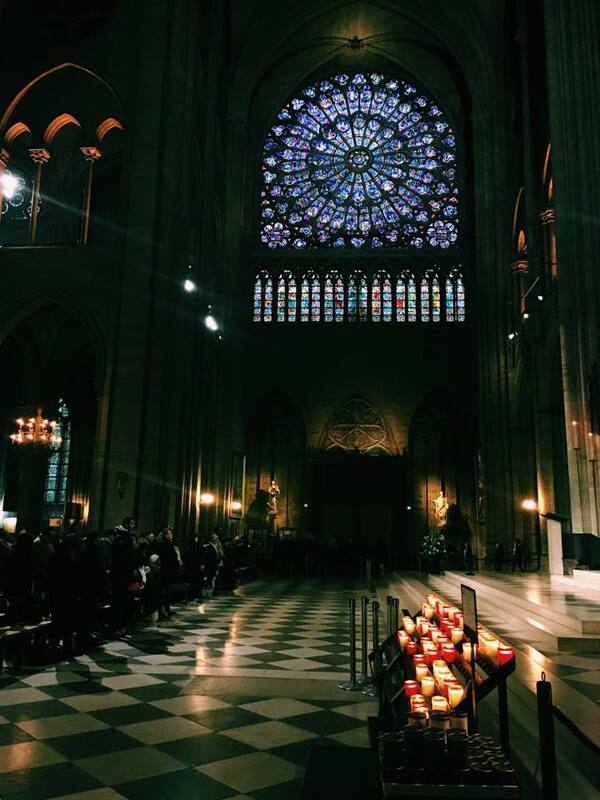 The structure and atmosphere were awe-inspiring. Entrance is FREE but a small donation is suggested. Truly a beautiful site. Seen outside Notre Dame. 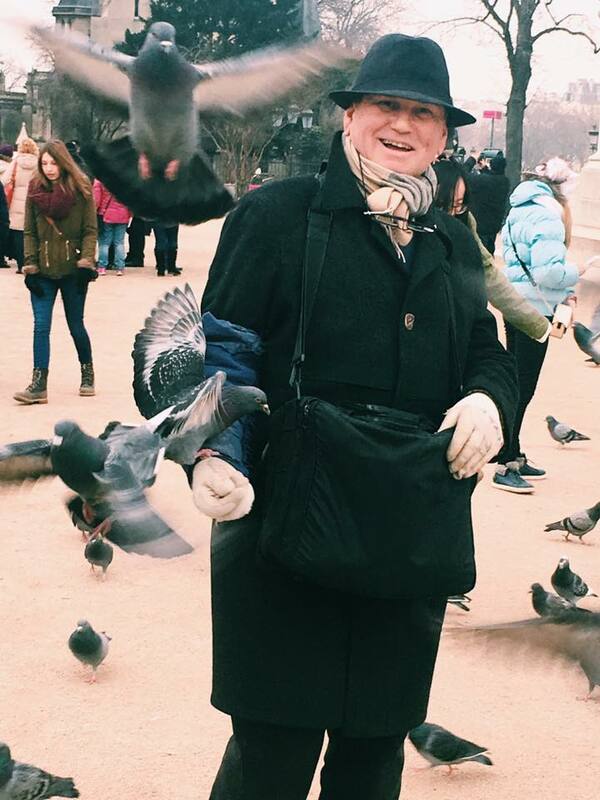 A gentleman feeding pigeons. BlondeBrokeBackpacker: Remember! 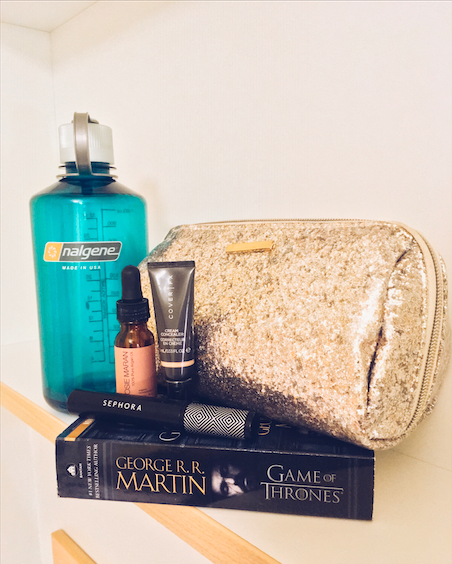 SELF CARE while traveling! You will be walking roughly 12 miles a day while in Paris seeing all the attractions. You need to keep yourself fueled and comfortable! When you start to feel ‘hangry’ (hungry and angry) stop and think when is the last time I ate? 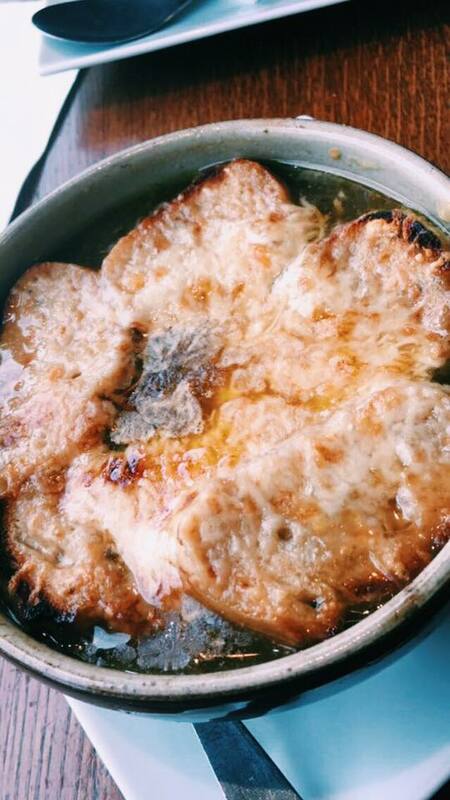 Take the opportunity to stop at a ‘petite cafe’ for some coffee and French onion soup! After a quick lunch break we were ready to take on the Louvre! 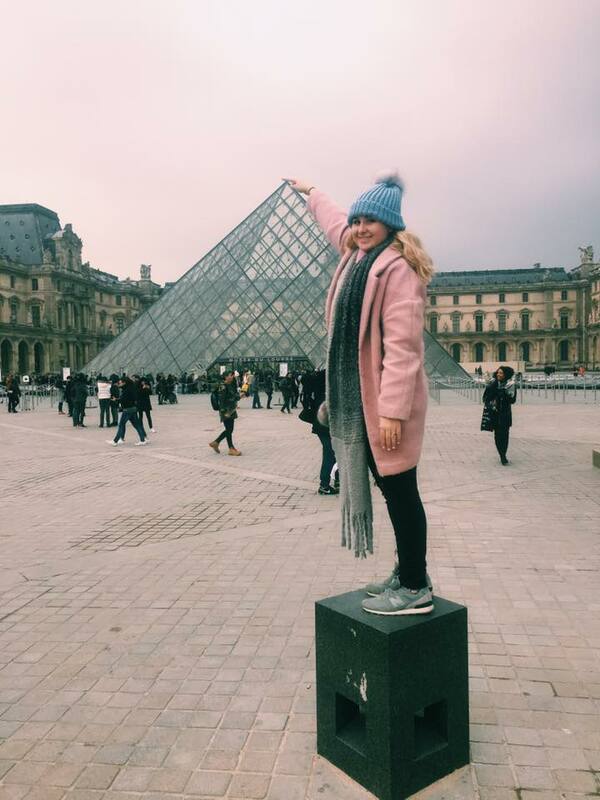 BlondeBrokeBackpacker: Le Louvre is FREE with a European student ID! Full of onion soup we were ready to take on our next site. 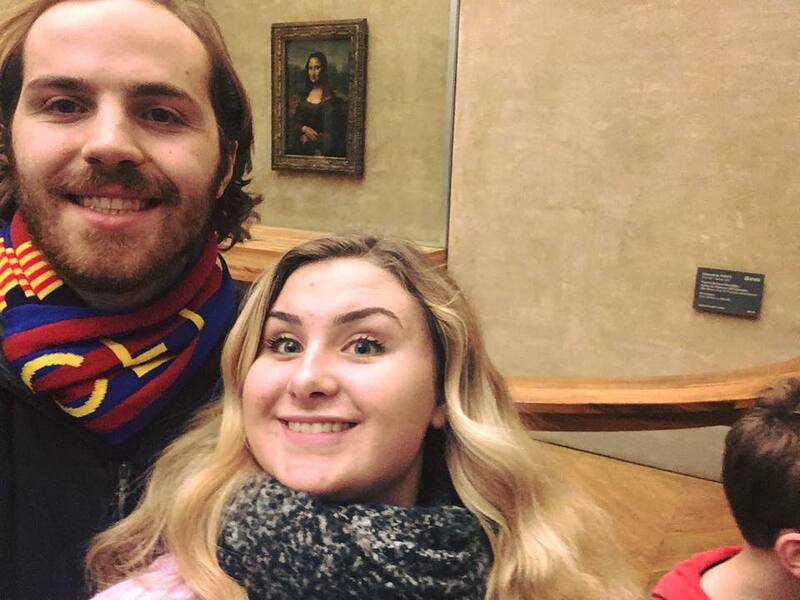 The Louvre is packed with every style of art you can imagine! It was such a thrill to see in ‘La Jaconde’ or the Mona Lisa in real life! 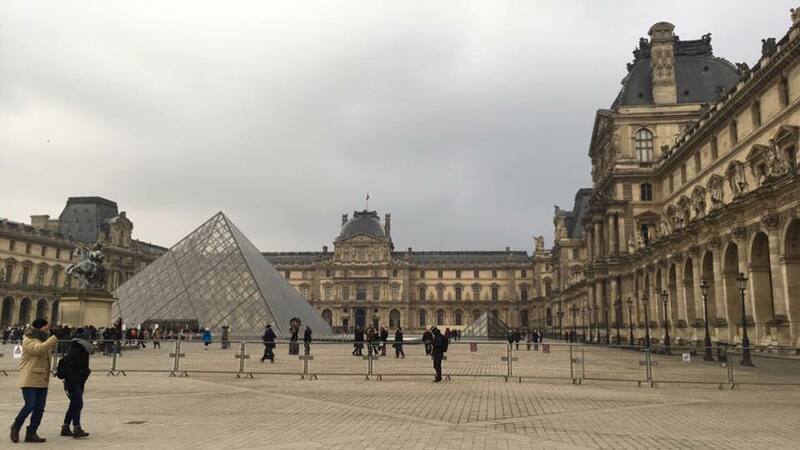 By the time we finished with the Louvre it was only 2pm. So we after resting our legs and relaxing on a comfortable couch in the Impressionism wing we decided we could do one more attraction. 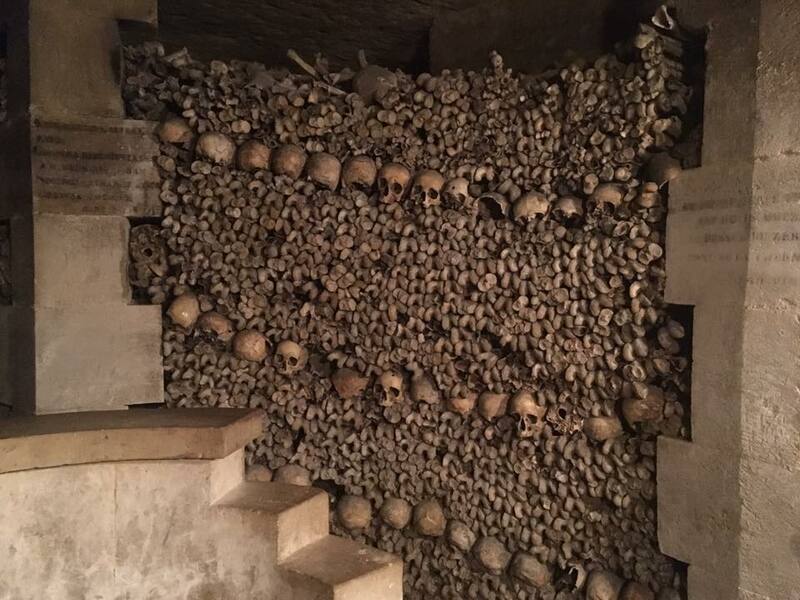 We quickly googled “top things to do in Paris” and decided to head over to the Catacombs. BlondeBrokeBackpacker: Keep things flexible! Leave a couple things unplanned and always go with the flow and you’ll never be disappointed. We took the metro to the Catacombs and after waiting in a freezing 2-hour line we walked an incredible site. The vault is deeper than the metro and is so deep it exposes tectonic plates. 30 steps to go down and 83 steps back up to street level will bring you to the crypt. 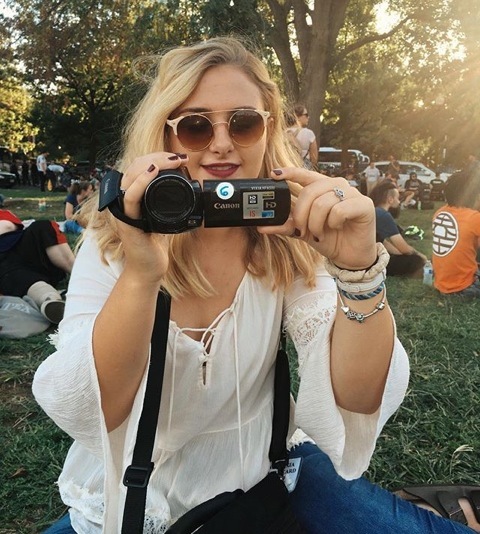 BlondeBrokeBackpacker: The Catacombs are not free but with a student ID you can get in for 13 euros and it is SO worth it. Until next weekend! Get your boarding passes ready! As I packed my suitcase for Belfast, I made sure to leave half of it empty to make ready for the plethora of new clothes, I was going to buy while abroad. 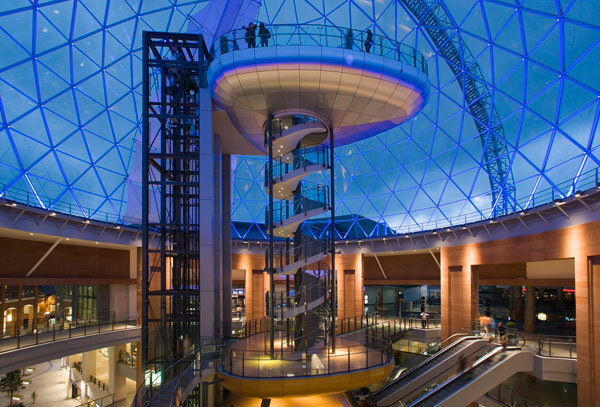 Belfast’s location and cultural diversity has allowed the city’s fashionistas to pick from the best of Irish, English and European fashion. New clothes, new trends, new style. The best part of studying in a different culture is that you’re surrounded by the youth of the country and their specific style. 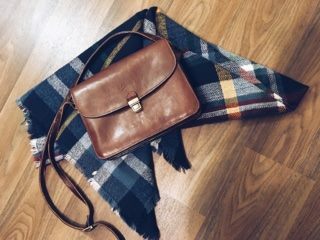 I spent the first couple of days surrounded by rolled hem vintage jeans, expertly layered sweaters, exgravant coats and billowing scarves paired with perfectly distressed Doc Martens or chic sneakers. I immediately wanted to replicate this simple, cool girl – edgy but practical look. 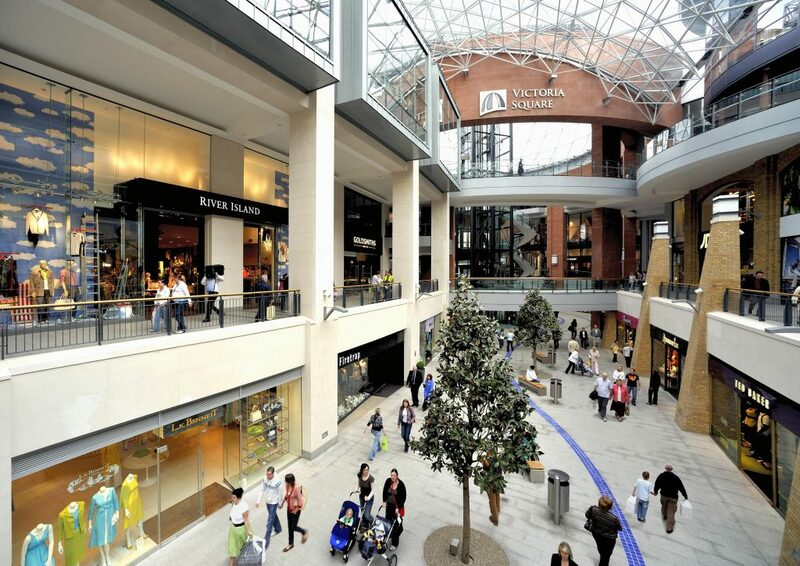 Victoria Square is a shoppers heaven. 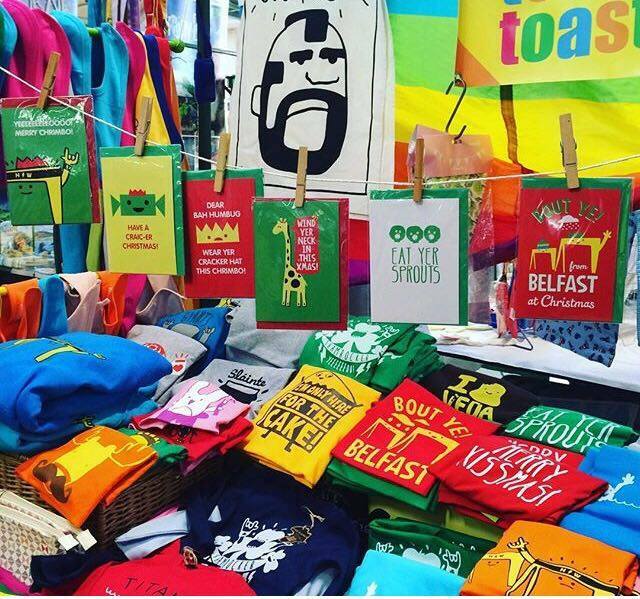 (GGG Tip) The best day to shop is Thursday in Belfast! The stores are open late and you can wear your new outfit out to the pubs right after! 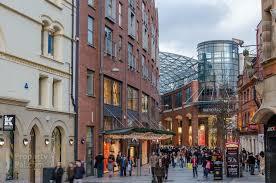 Budget friendly trendy shops like Primark, H&M, Next and New Look – are all located in the square. You’ll be walking out with money still in your pocket and new clothes in your reusable bag! 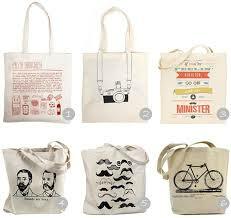 Belfast is eco-friendly and it’ll cost you 5p (per one time use plastic bag) at all businesses in Belfast. 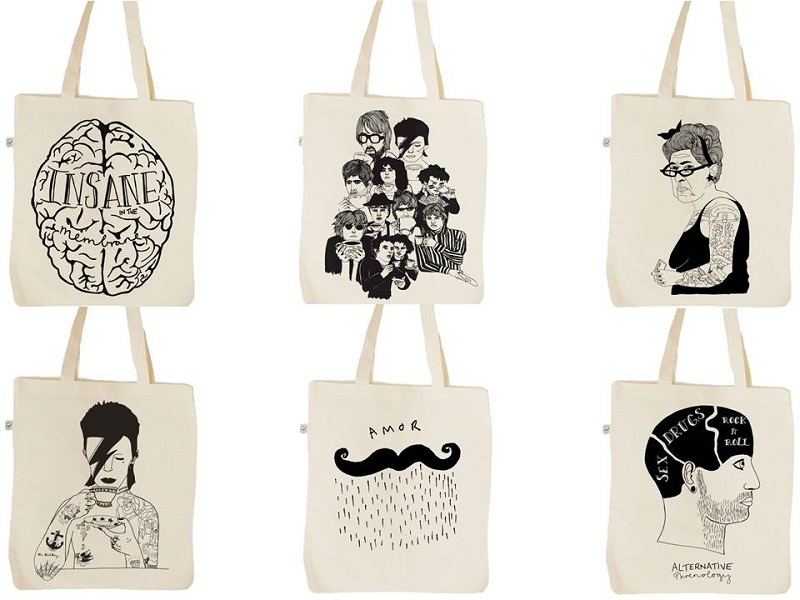 Invest in some cute canvas bags and throw them in your purse to avoid the charge! 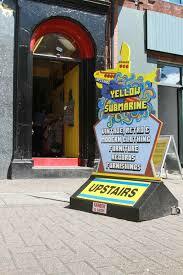 My personal favorites are the Octopus Garden on Wellington St. in Belfast City Centre and Yellow Submarine on Botanic Ave.
(GGG tip) College towns, no matter where in the world are likely to honor student discounts – I flash my Queen’s ID and normally receive 20% off at most restaurants, pubs and stores! 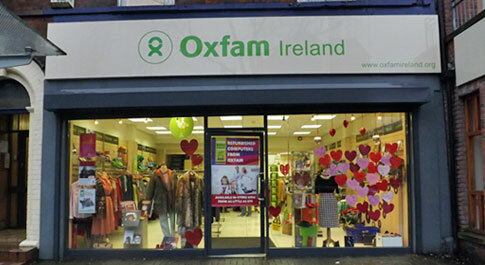 Belfast has a great network of ‘Charity Shops’ similar to the Salvation Army and Goodwill in the states. 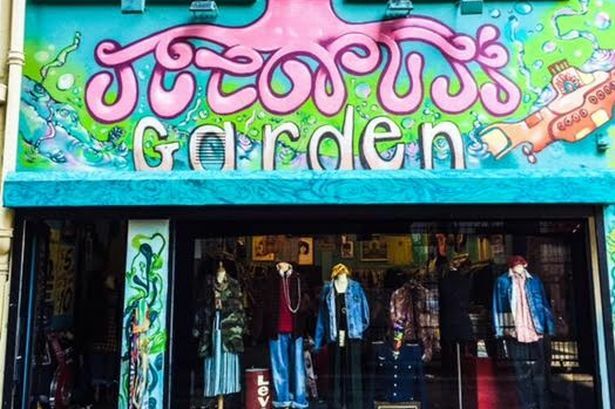 Charity shops in Belfast are second hand stores that sell donated items from clothes, shoes, appliances, furniture etc. 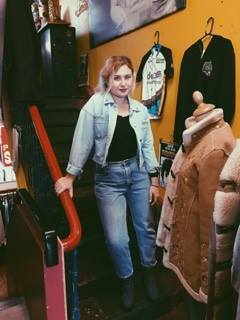 The Charity Shops and thrift shops in general; are great if you’re only going to be in a location temporarily! Plus you can just donate it back when you’re done with your trip! (GGG tip) I bought all my kitchen utensils at Charity shops. If you’ll only be in the area for a few months; it’s best to buy your necessities cheap; £1 cups, 50p spoons and even luggage if you need more space on the way home! 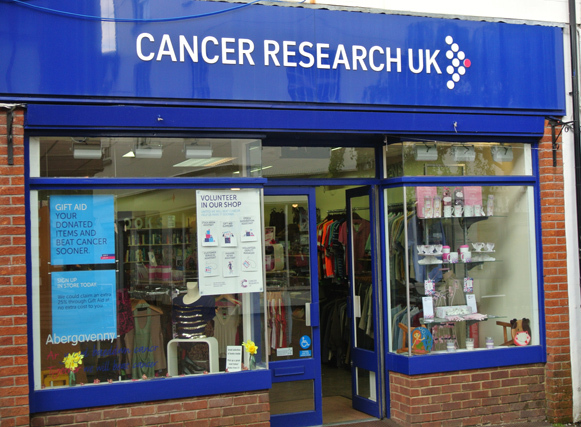 Belfast Charity Shops are great as each specific shop donates their earnings to a specific charity or cause. Get outta here with that outerwear! Belfast fashion is heavily focused on outerwear as the weather is so temperamental. I was mesmerized by the variety of stylish coats and jackets everyone was wearing that I started the hunt for the perfect coat! I wanted something fun and feel in love with a bubblegum pink coat for only £5.00 at a local Charity shop. 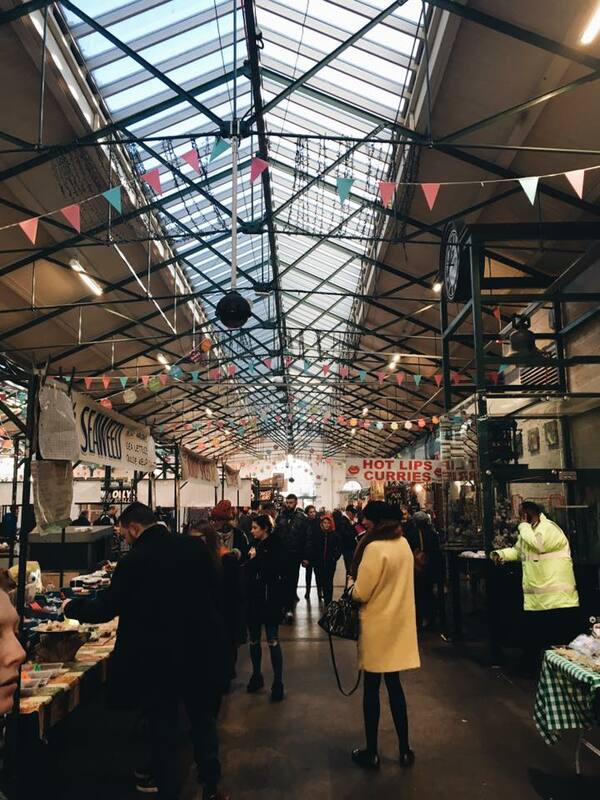 Shopping local gives you a chance to see the pure and personal style of where you’re studying. 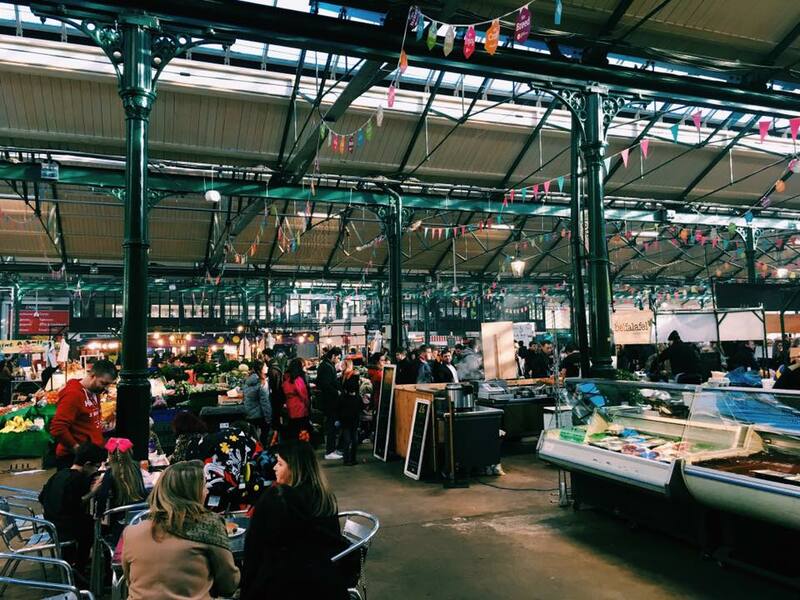 St. George’s Market open every Friday – Sunday is stocked with artisanal and local merchants. 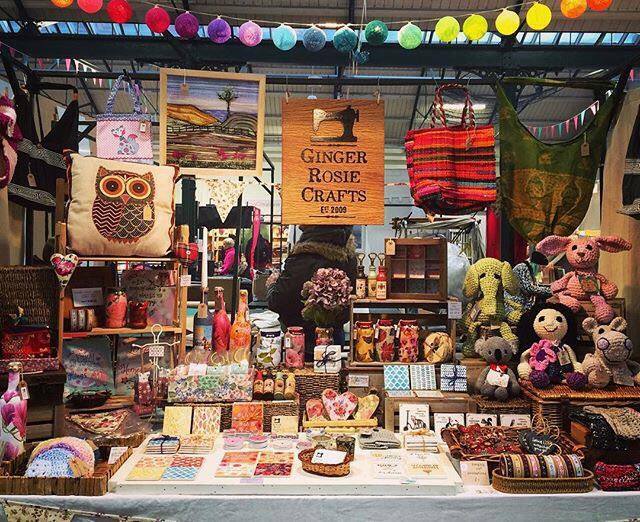 Get the best souvenirs from local artists! Stay tuned fellow travelers! Keep wandering! 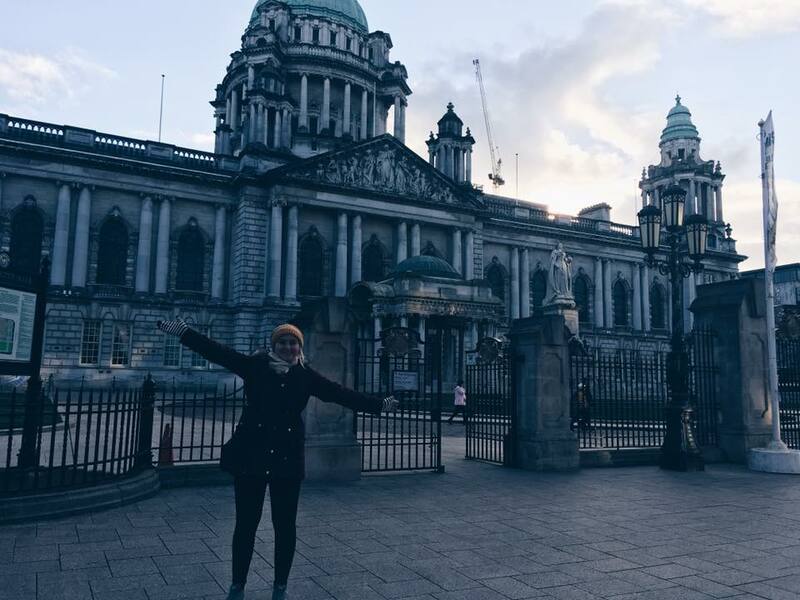 I’m just beginning my 3rd week in beautiful Belfast, Northern Ireland. 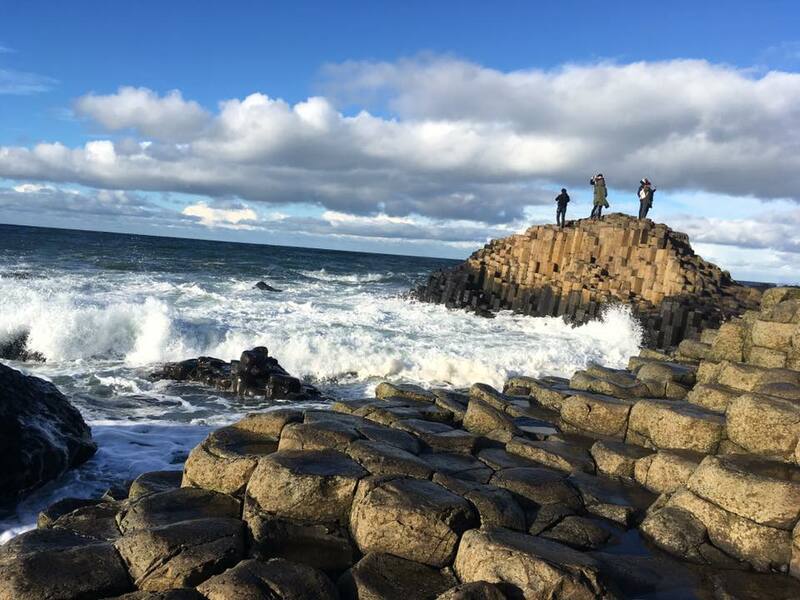 Queen’s international student programming is great – every weekend there is an outing or journey to a place in Northern Ireland, Belfast or the Republic of Ireland! 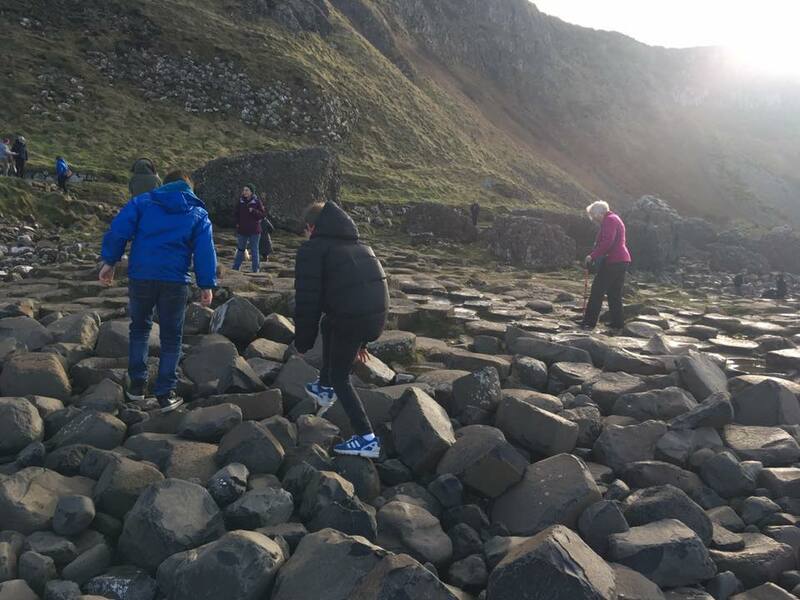 I jumped at the first opportunity to go with the school on a full day’s journey to the ‘Giant’s Causeway’ in County Antrim. 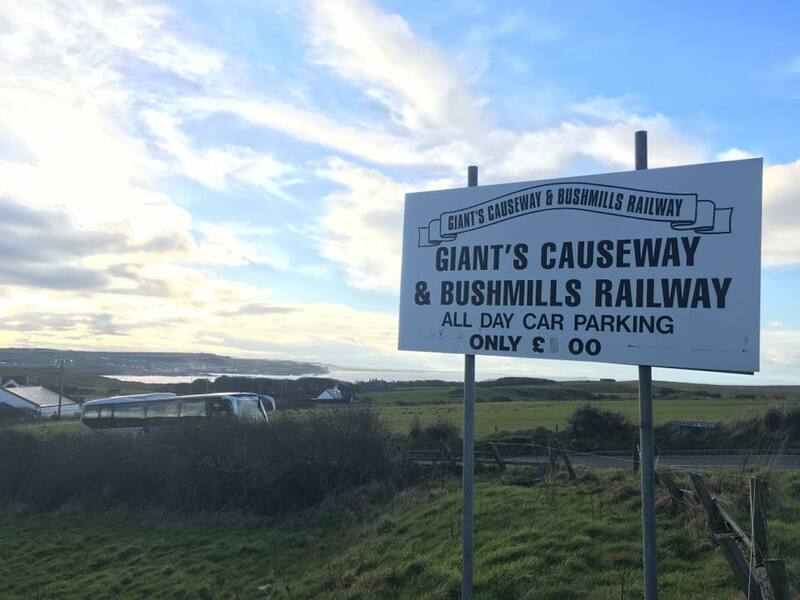 I wanted to get a glimpse of the country side and see one of Ireland’s most famous geographic wonders. 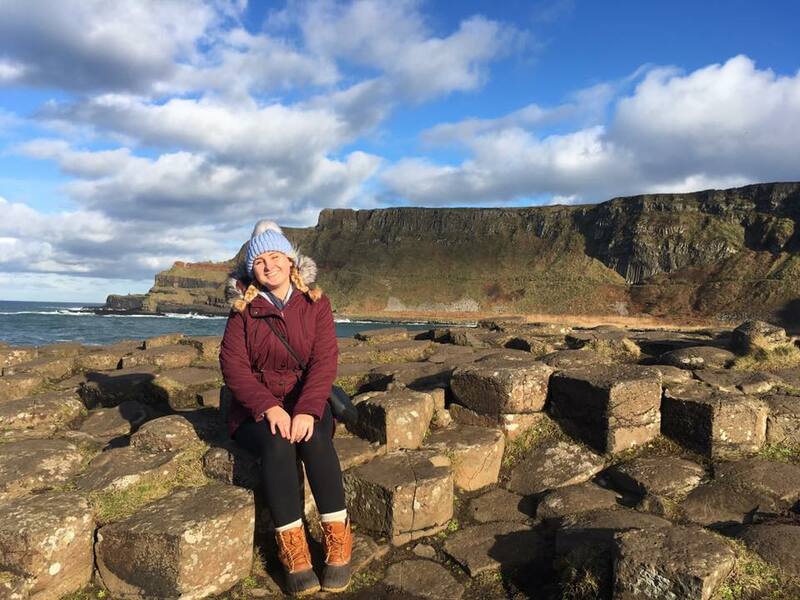 My favorite Irish legend growing up was that of Finn MacCool and the Giant’s Causeway. This trip goes perfectly with my Celtic Mythology course as it dissects the beliefs and legends of ancient Ireland. 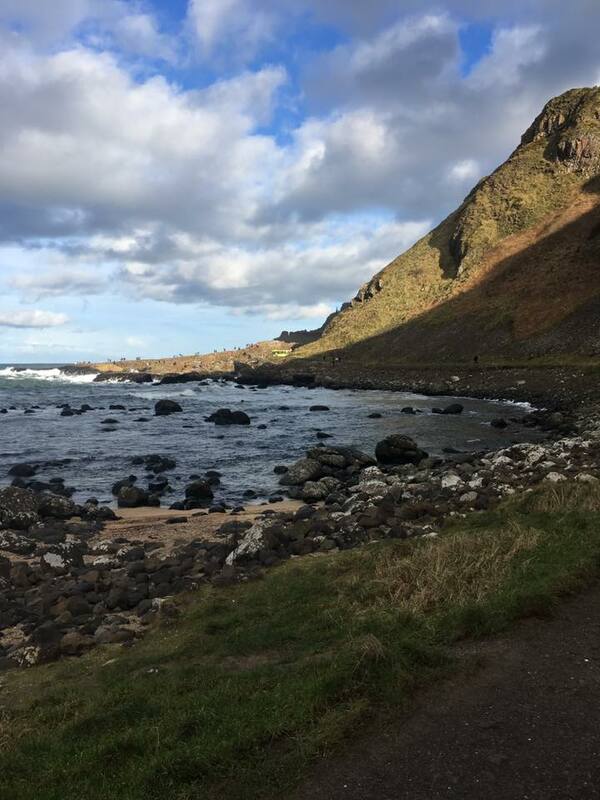 The legend goes ” Finn MacCool built the Causeway due to an ongoing argument with a Scottish giant named Benandonner who could not swim. In an argument one day, while they were shouting at each other over the Sea of Moyle, Finn took a clump of earth and flung it at his enemy. 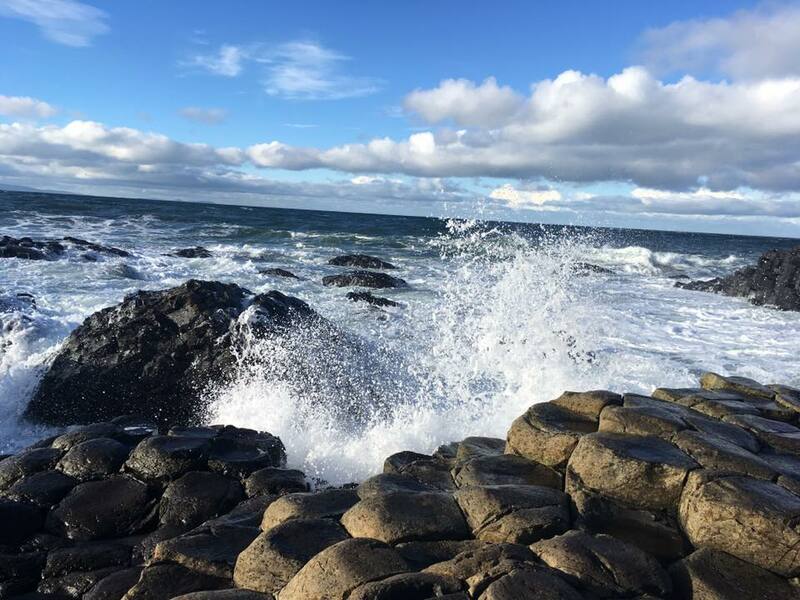 The land fell in the sea and became the Isle of Man, while the huge hole left in Ireland became Lough Neagh, the largest lake in the British Isles.As the arguments continued, Finn decided to build the Causeway in order to make it easy for Benandonner to come and fight him. After so much hard work, Finn was exhausted and he fell asleep. While Finn slept, Oonagh, Finn’s wife heard the sound of thunderous footsteps, she knew it was Brenandonner come to fight Finn. Oonagh took one look at the gigantic visitor on her doorstep and realised this was a battle Finn could never win. She threw a blanket over her sleeping husband and stuck a bonnet on his head. There was no possible way Finn could defeat Benandonner for he was too small. The legend is an explanation for the fascinating natural formations of hexagonal stone produced from a volcanic eruption millions of years ago. The causeway is nestled below massive mountains and shoulders rough waves that lap the sides of the ‘giant’ formations! When the sun hits the rocks just right it’s absolutely beautiful! 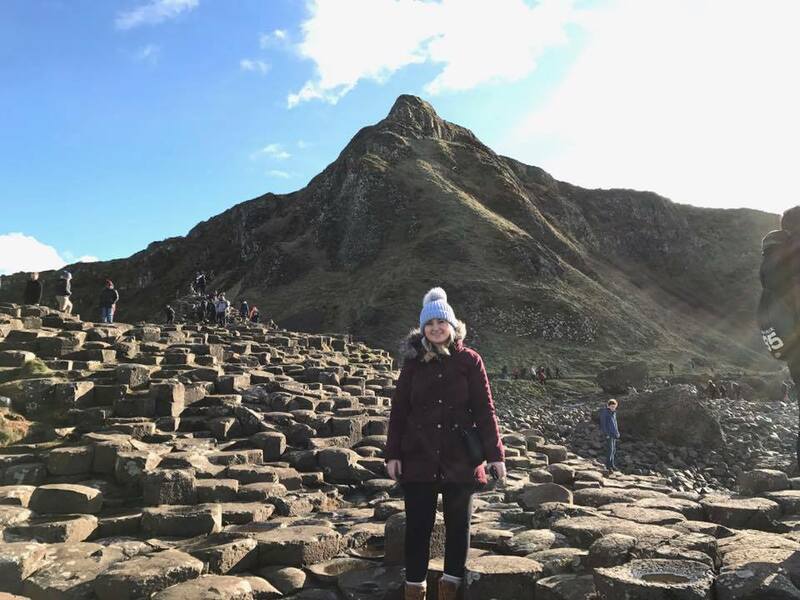 The scenery is breathtaking with crystal blue skies, monstrous monstrous and the absolutely awe-inspiring natural fortress. You can’t help but smile when surrounded by all of this beauty!
. There’s nothing like ocean air to refresh the mind and cleanse the soul! Stay tuned fellow travelers for next weekends tour of the sets and locations of HBO hit show and bestselling book GAME OF THRONES. If I had it my way, I would bring everything and more, but with a 50 lb checked weight limit and 20 lb carry on limit – times can get tough when you need to choose between your favorite pair of boots when you’re just reaching the 49 lb mark. Remember, unless you’re going somewhere with known limited access to inexpensive and easily accessible clothing – everyone shops all over the world! So, you will have the ability to purchase new clothes or things you’ve forgotten once you’ve arrived. I believe in minimalism when it comes to on-board items. The less items you need to worry about, the less items you have the chance of forgetting at a terminal while you’re rushing to catch your connecting flight. Hydration and relaxation are vital on long journeys! A Nalgene water bottle is perfect to clip onto a carry on so you always have easy access to water throughout your flight. Drinking caffeinated or sugary drinks on flights can make you jittery or anxious when your main goal is to try and be rested before getting off the plane and beginning your journey! Tourist tip: If you’re a sucker for souvenirs like me, instead of that heavy snow globe from Sweden, opt for a colorful sticker that you can slap onto your water bottle! A big water bottle is perfect for collecting stickers of countries you’ve been. Slapping on a sticker gives you a sense of accomplishment and you’ll have it for years to come, even after your trip, with memories from each place! The key to looking great after a long flight is keeping your skin moisturized and dabbing on a little concealer right before landing! 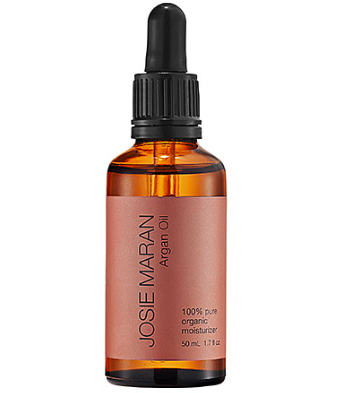 Go makeup free when boarding the plane and while you’re sitting there on your long flight take the time to stretch your legs and head to the bathroom for a little touch up. During my regular life I rarely have time to read anything besides a text book or a text message. Take this time to read a book you’ve been meaning to pick up! 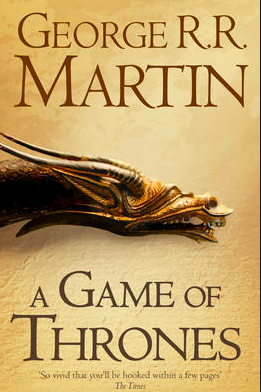 As I am going to the land of Game of Thrones, I decided it would be a good opportunity to start reading the first installment of the series! 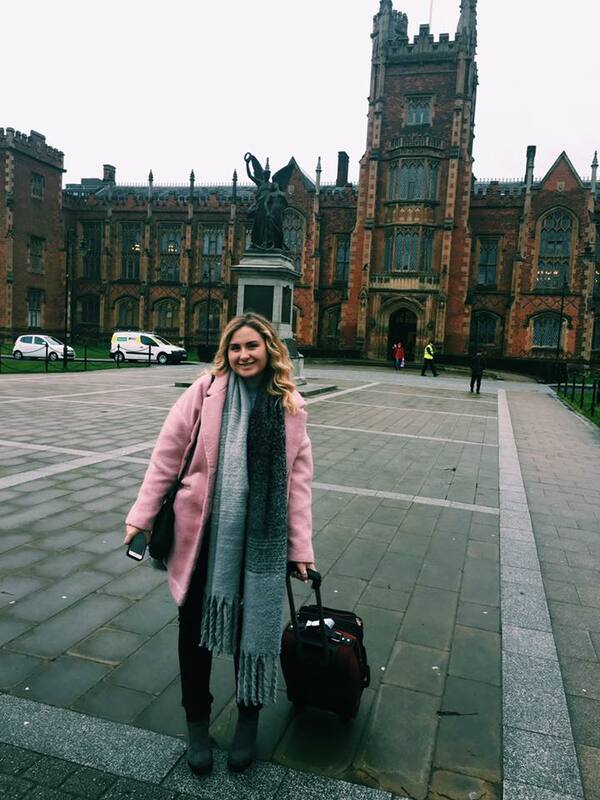 Follow this Spring 2017’s Office of Study Abroad & International Experiences Global Correspondent, Meaghan Gallagher, on her studies in Belfast! 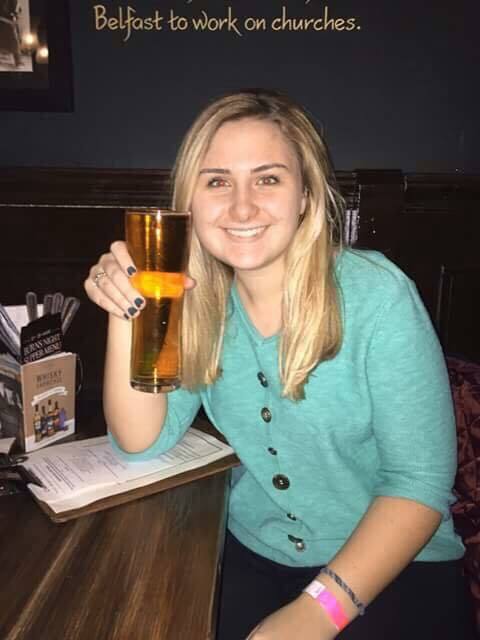 Meaghan is a UMass Lowell Political Science major studying this spring on a UMass Lowell exchange program at Queen’s University, Belfast.